Growing in a group is not only more effective, it's quite a bit more fun! How does a mastermind work? A group of smart people meet on a regular basis, to tackle challenges and problems together. They lean on each other, give advice, share connections and do business with each other when appropriate. 2. Once you are involved in a mastermind group, that feeling of "being alone" while running your business is gone. 3. The group works together collaboratively, to achieve more together. 4. Joining a mastermind group expands your network exponentially and rapidly. 5. Everyone in the mastermind group has unique skills, experience and connections. 6. When you join a mastermind group, you will most likely find ways to help each other by utilising cross promotion. 7. Being in a mastermind group will allow you to think bigger and stretch beyond your boundaries because you are surrounded by amazing people doing amazing things. 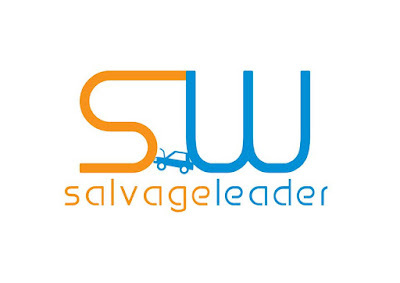 The Salvage Leader Mastermind Group will meet in person twice a year, monthly through video or telephone conference, with access to a private Facebook group. Every month a new book will be delivered to each member of the group for them to read and discuss during the following meeting or call. All conversations and discussions are confidential to the group, so participants are able to freely discuss ideas, concepts, goals, issues and concerns, and receive support, help, advice and input with the confidence that what has been discussed stays in the group. There will be a monthly cost for each member of the group, for this they gain access to the group, training and development resources, monthly video conference, access to the facebook group and the twice yearly in-person meeting. Thousands of vehicles are repaired every day that would benefit from the use of quality recycled parts from UK based automotive recyclers; saving cost, reducing emissions from the production and transportation of brand new parts, and helping to support the circular economy where components are re-used rather than being disposed of and recycled. Recycled Parts that have come off a vehicle of a similar age to the vehicle being repaired have the benefit of being an original equipment (OE) part - designed to the vehicle manufacturers standards and fitted by the vehicle manufacturer on the production line. Recycled Parts can be covered by guarantees and warranties, and offer significant cost savings from brand new prices. 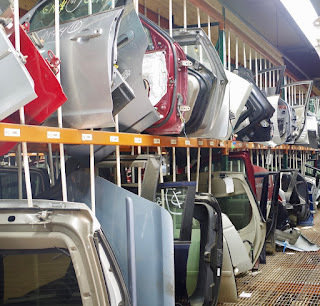 At the moment there are no specific UK produced recycled parts standards available, the USA based Automotive Recyclers Association have a set of standards that could be utilised, however these standards cover a number of vehicle parts that the UK would not accept, such as structural body panels. Salvage Wire have produced a draft Recycled Parts Standards guide for the UK, these standards are UK specific, set out expectations on vehicle recycler standards, the parts that can be re-used, the quality of parts and how parts should be quality graded. The standards also set out customer and repairer expectations along with recommendations on recycler staff training and assessment. To give independent approval, scrutiny and audit Salvage Wire can administer and audit these standards; giving the reassurance to vehicle repairers, insurers and customers of the quality of the vehicle recycler, their processes, staff and the parts they are offering for sale. Find out more by contacting Salvage Wire, and check out our website www.salvagewire.com for more details about the services available and download free resources. Automotive recycling technicians will soon need to be trained, accredited and participate in continual professional development if a new bill gains royal assent. The UK government wants to show that the UK is a leader in automated and advanced vehicles to bring inward investment into the country. The Automated and Electric Vehicles Bill looks at the latest vehicle technology, how it will impact vehicle use and the changes in legislation that need to be made to accommodate these vehicles into normal use. 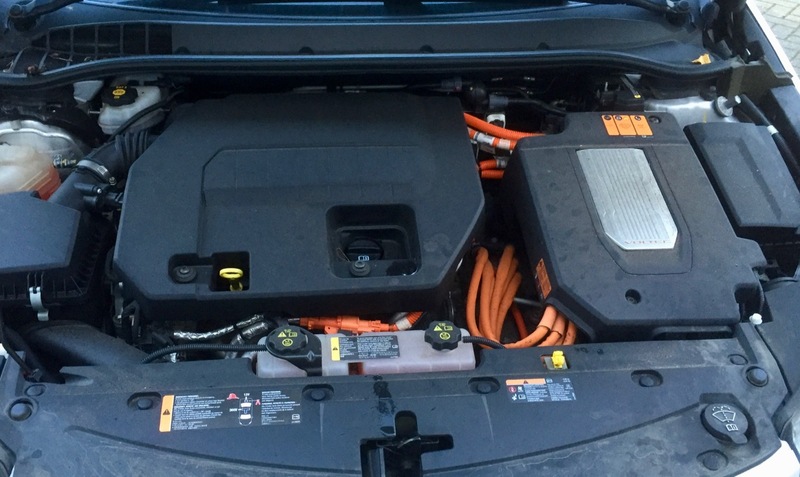 One amendment that has been proposed as part of the bill is a Licensing and Accreditation scheme for all technicians working on automated and electric vehicles. The amendment states that the bill must determine which professional body will operate the licensing and accreditation scheme, how the scheme will operate, the minimum level of training required and continual professional development. 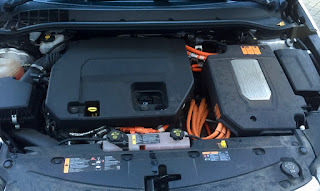 The impact of this amendment would be that everyone working on a high voltage vehicle must be trained and accredited - a necessary precaution given the dangers involved with these vehicles - and this will have implications for the vehicle recycling industry. If this bill does come into UK legislation with this amendment included vehicle recyclers will have to train their technicians and dismantlers to a specific level of competence, maintain their continuing professional development and support their technicians to become members of the professional body that operates the scheme. As a rough estimate, the initial 2-day training course could cost as much as £1500 per technician (when the cost of taking a key employee out of the business for the 2 days is included), and up to £300 per year for membership of the professional body and ongoing CPD, and most automotive recyclers will need to train at least two technicians for each yard - this is not an insignificant cost! 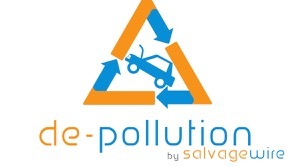 Salvage Wire will be monitoring the progress of the bill and will provide regular updates to the vehicle recycling industry. 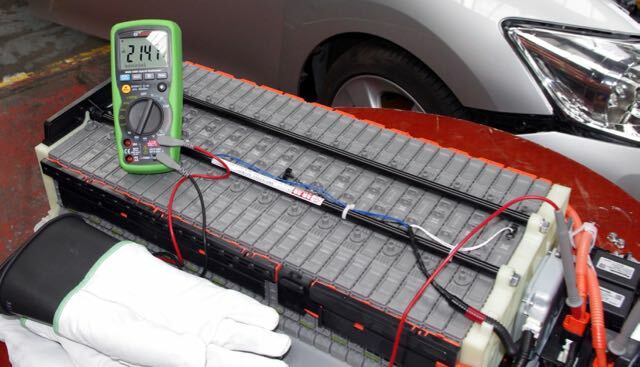 The Safe Handling of Electric and Hybrid Vehicles training course is a one-day, WAMITAB Accredited high voltage awareness course for all automotive recyclers, designed to protect you, your staff and your business when collecting, storing and dismantling an electric or hybrid vehicle. For more details check out www.salvagewire.com and contact Salvage Wire for available dates and costs. A Mastermind Group is a peer-to-peer mentoring concept used to help members achieve their goals, create concepts, discuss ideas and solve their problems, with input and advice from the other group members. There is synergy of energy, commitment, and excitement that participants bring to a Mastermind Group. The beauty of Mastermind Groups is that participants raise the bar by challenging each other to create and implement goals, brainstorm ideas, and support each other with total honesty, respect, compassion and confidentiality; they become stronger individuals as they contribute and share; take and learn. Consider how much faster businesses can grow when they use a mastermind (or peer benchmarking) group when compared to businesses that innovate in isolation. In a Mastermind Group, the agenda belongs to the group, and each person’s participation is key. Peers give feedback, help brainstorm new possibilities, and set up accountability structures that keep everyone focused and on track. A mastermind group is a community of supportive colleagues who will brainstorm together to move the group to new heights. "The coordination of knowledge and effort of two or more people, who work toward a definite purpose, in the spirit of harmony,” and he continued…. What Do Participants Get From It? • A sense of shared endeavour - there are others out there! 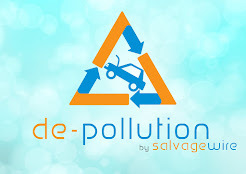 • are leading, managing or running automotive recycling businesses. 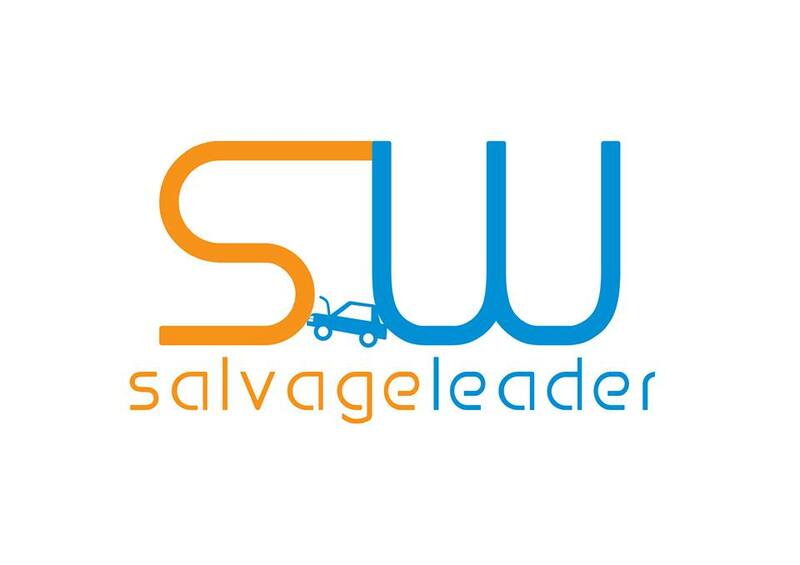 The Salvage Leader Mastermind Group will meet in person twice a year, monthly through video or telephone conference, and access to a private Facebook group. There will be a monthly cost of £99 for each member of the group, for this they gain access to the group, training and development resources, monthly video conference, access to the facebook group and the twice yearly in-person meeting.